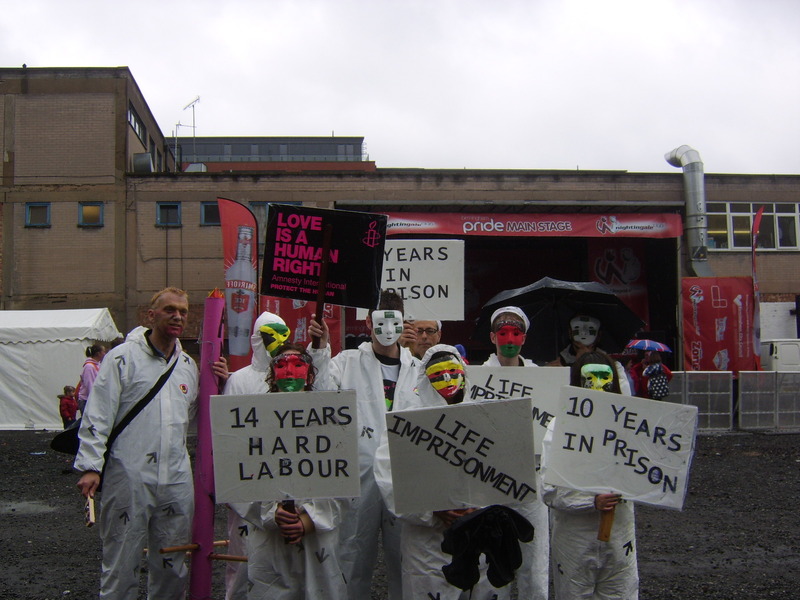 Photo of Amnesty presence in Birmingham Pride Parade 2010. Most people join Amnesty because they want to make a difference. However, being an Amnesty activist can also be fun too. Whether its meeting new people with a shared interest, being creative or organising amazing social events campaigning is often an enjoyable experience. In my time with the Central Birmingham Amnesty International I have met wonderful people, done things I never thought i’d be doing (such as TV interviews) and learnt so much about inspiring people in this amazing world we live in. From old to young the vibrancy of Amnesty campaigners and the smiles they have on their faces whilst working creatively and passionately to defend vulnerable people from the most appalling violations of their human rights never fails to amaze me. Its a serious business defending human rights but we can have fun at the same time. A global justice gap is being made worse by power politics despite a landmark year for international justice, said Amnesty International today in its annual assessment of human rights worldwide. Launching Amnesty International Report 2010: State of the World’s Human Rights, a 420-page report documenting abuses in 159 countries, the organisation said that powerful governments are blocking advances in international justice by standing above the law on human rights, shielding allies from criticism and acting only when politically convenient. 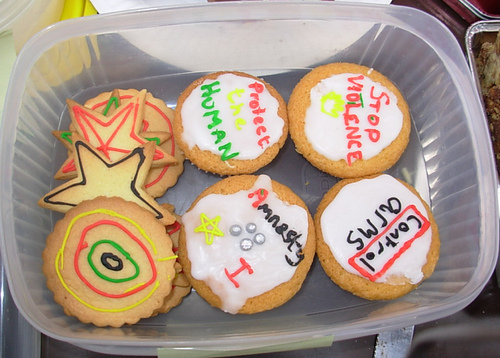 It’s Amnesty’s birthday on Friday so why not use it as an opportunity to feel inspired.